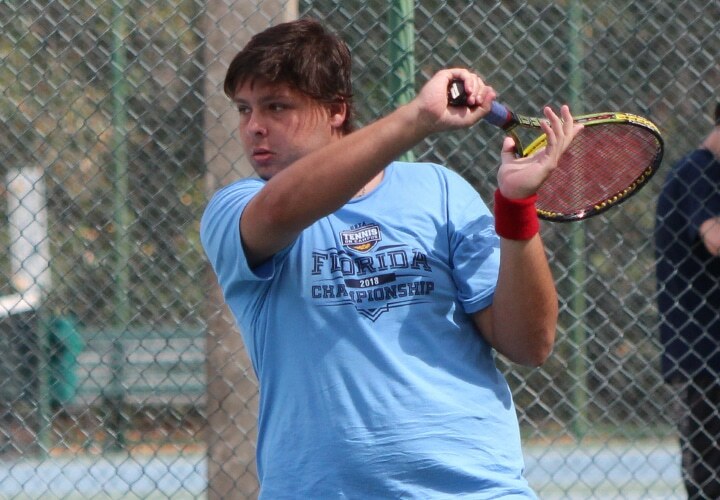 USTA Florida provides play opportunities for the Tennis Clubs through its College Championship Series (CCS). This event is a series of monthly tournaments hosted by various schools throughout the Section. 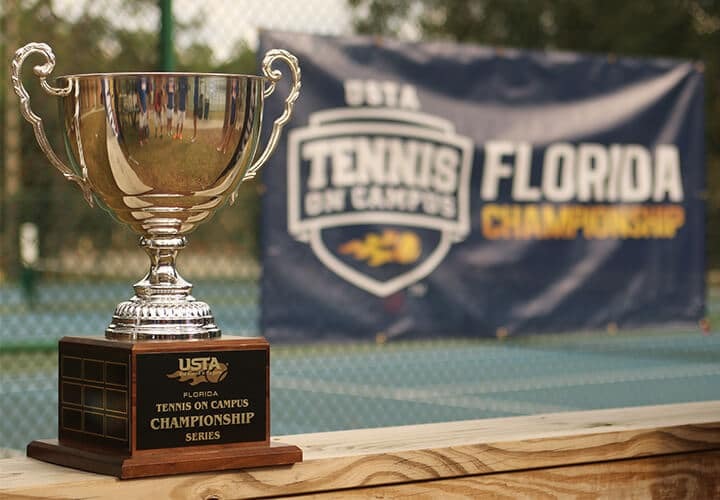 USTA Florida hosts the USTA Campus Championship – Florida Section which leads to advancement opportunities to the National Campus Championship! 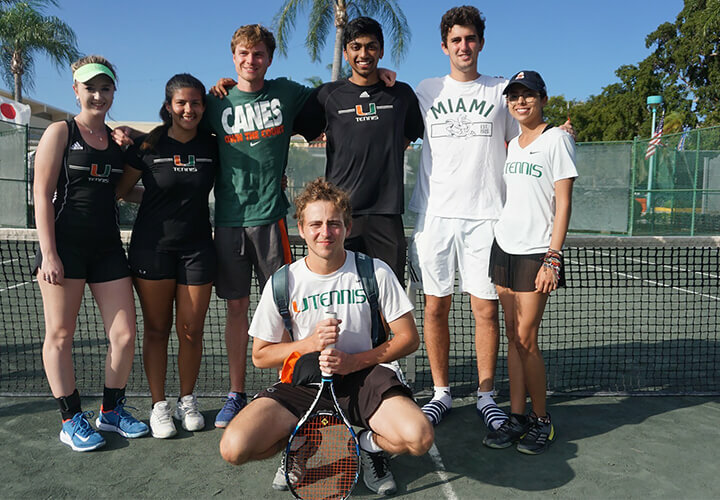 Are you looking to join a Tennis On Campus Club team? 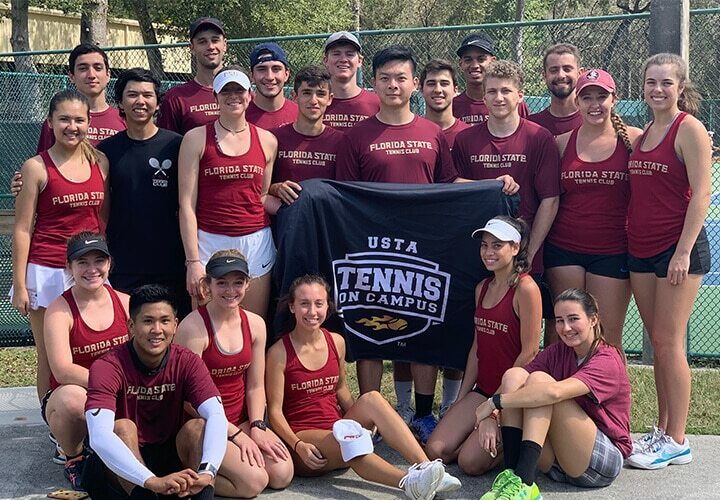 There are Tennis On Campus Clubs on several campuses throughout Florida with more being added each year. Don’t see your Campus listed? 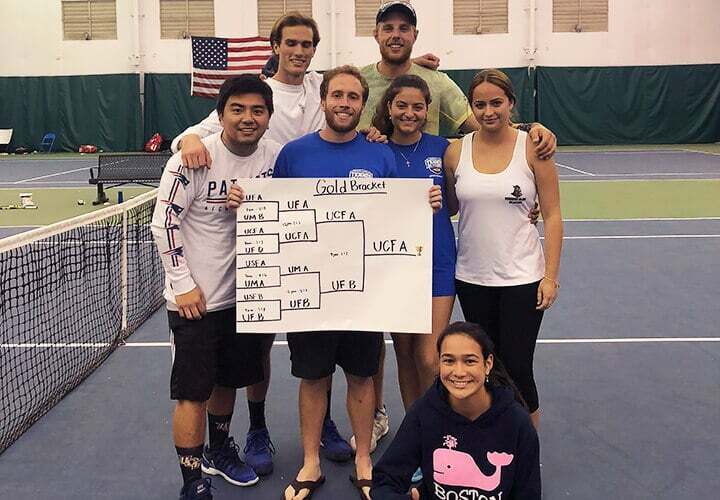 We can help get you get on your way to becoming an official USTA Tennis On Campus Club with step-by-step instructions and resources to attract players! 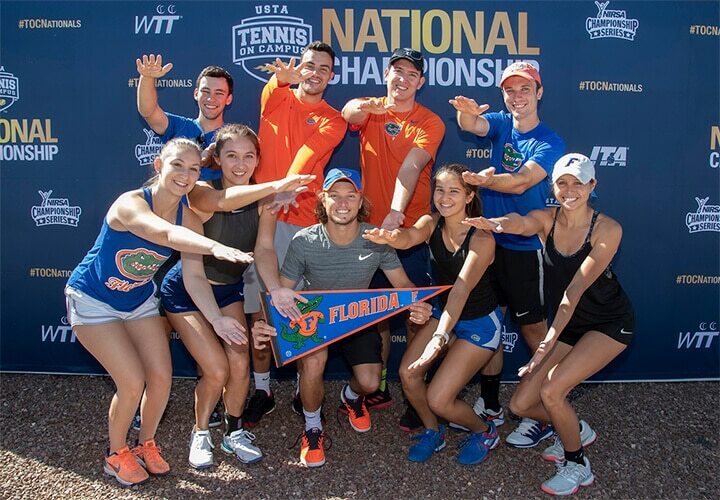 The Florida Tennis On Campus Series is a 6-month season of club competition hosted on school campuses where clubs are awarded points for participation, results, recruiting new schools, volunteering in the community and more! Volunteering With USTA 100 (Up to 300) At least five (5) members of the TOC club volunteer with the USTA. 100 points awarded for first time; 50 points awarded each successive time. Must be documented with photos. Recruiting a new school/team to a Florida Campus Series event 200 For Campus Series/300 For Sectionals Awarded for each new school that attends a Florida Campus Series event. Hosting a Florida Campus Series event 200 Host a TOC event on your campus. 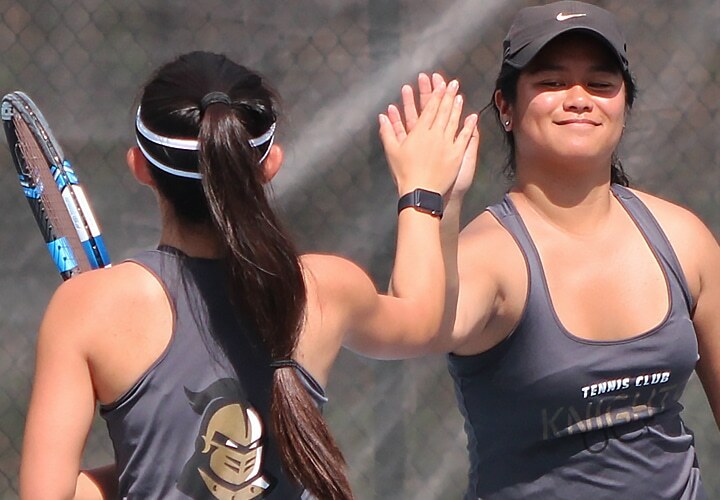 Conference call participation 50 points per call Points awarded each time a TOC club officer is present for 100% of conference calls set by USTA Florida. Campus Series participation 25 per team (up to 4 teams) Points awarded based on participation at Florida Campus Series events; 25 points per team; 100 points max. Check out where your team ranks in the points standings among the other Clubs. Below you’ll find where your teams ranks based upon the current points awarded. 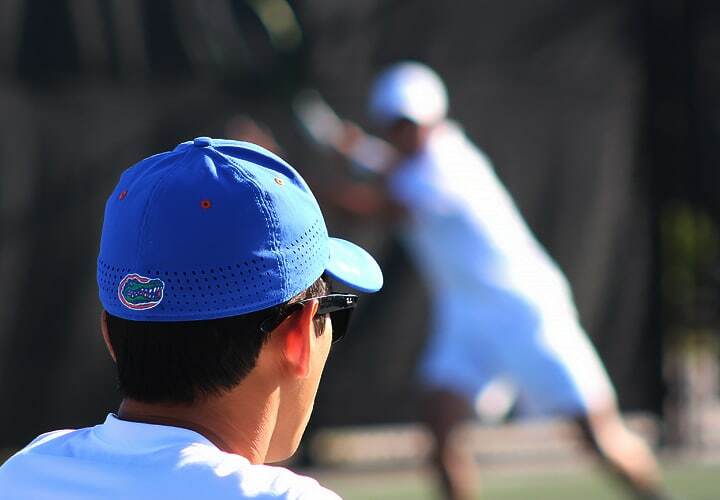 Florida hosts a number of Tennis On Campus Tournaments throughout the season. Host Clubs are awarded points for their team. Section Championships, held at the end of the season, determine who travels to the National Championships! 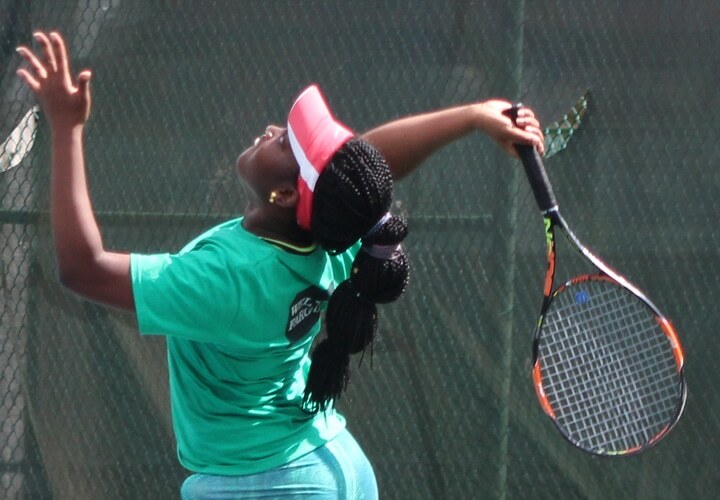 Take your serves, volleys, and more to the next level with this playlist of drills & games. 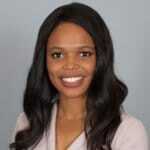 Take your game to the next level with strategy advice from experts on various topics of play. 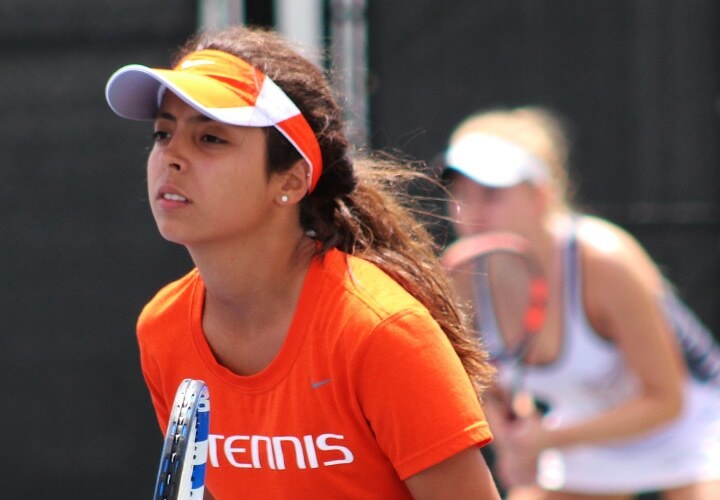 Take your doubles game to the next level with expert advice from pros. If you have questions, suggestions, or need guidance we are here to help.